Considering purchasing a condo in South Florida? Here is a list of important questions to ask and items to research before you decide to purchase a condominium, townhouse, or home in a homeowner’s association. 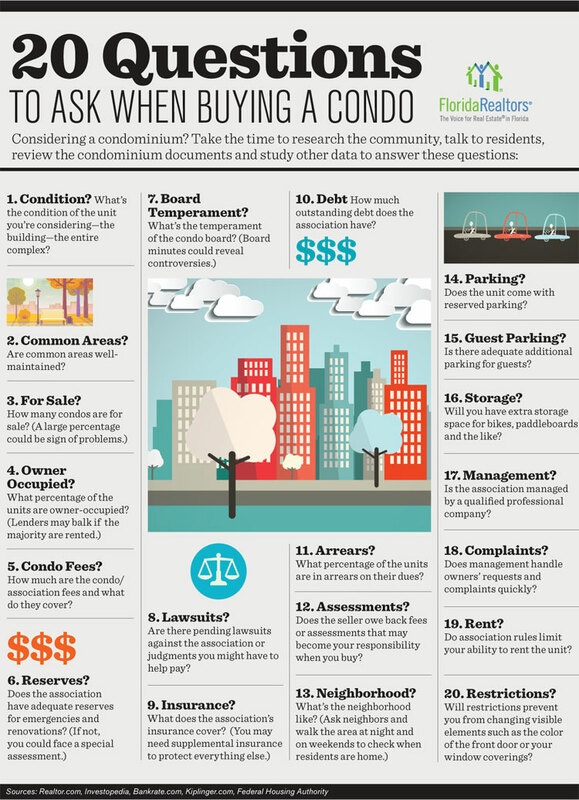 Download the full PDF version of 20 Questions to Ask When Buying A Condo.